This was my first time in Tel Aviv – what a wonderful, vibrant city! 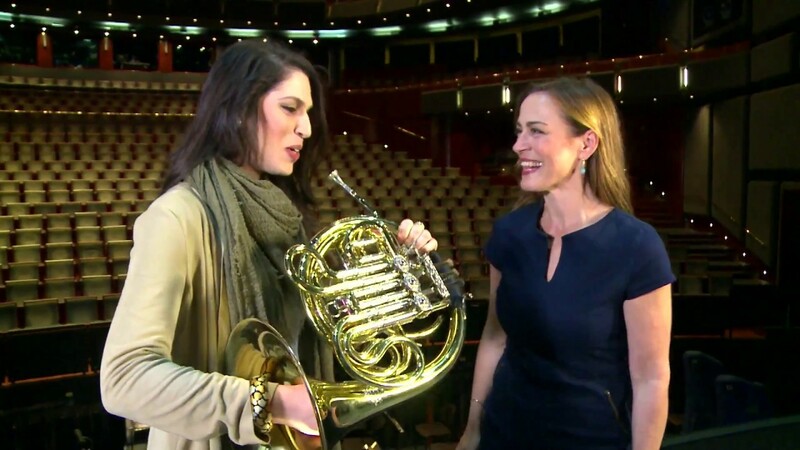 I was officially there to take part in the Israel Horn Day, involving horn players from all over the country but whenever I am asked to take part in an interesting event, I always try to double up and film a Sarah’s Music episode as well as we need a new episode every second week. Tel Aviv was no exception, so after 3 intensive days of horn, my team and I then went off for a fantastic day filming backstage at the Israeli Opera for Sarah’s Music. I love being backstage in an opera house. It always reminds me of my time playing in the Berlin State Opera. The wonderful Yonat Burmil organised the exclusive access backstage for us – many thanks for all your help, Yonat! This very red production of Gounod´s Faust, directed by Stefano Poda, has a lot going on backstage and I hope you enjoy having a look behind the scenes as much as we did filming it. Zcharia the house cat made me giggle. He lies under the stage during performances and usually comes out to say hello in the interval – he loves the choir and hisses at the stagehands. Check out the photo of him in the gallery below – you had to see him to believe it. For my first visit to Tel Aviv, I didn’t get much sightseeing done but I enjoyed what I saw as we filmed the opening shots to the episode. You’ll see that I tried some traditional Israeli dancing – all I can say in my defence is that it’s harder than it looks! I was happier watching everyone else..
My dancing aside, a great day was had by all in Tel Aviv – toda lekulam and I hope to be back soon, it´s such a fantastic city!